One thing I love more than anything is music and I’m happy to say that I’ve had a fun week filled with music that I love. 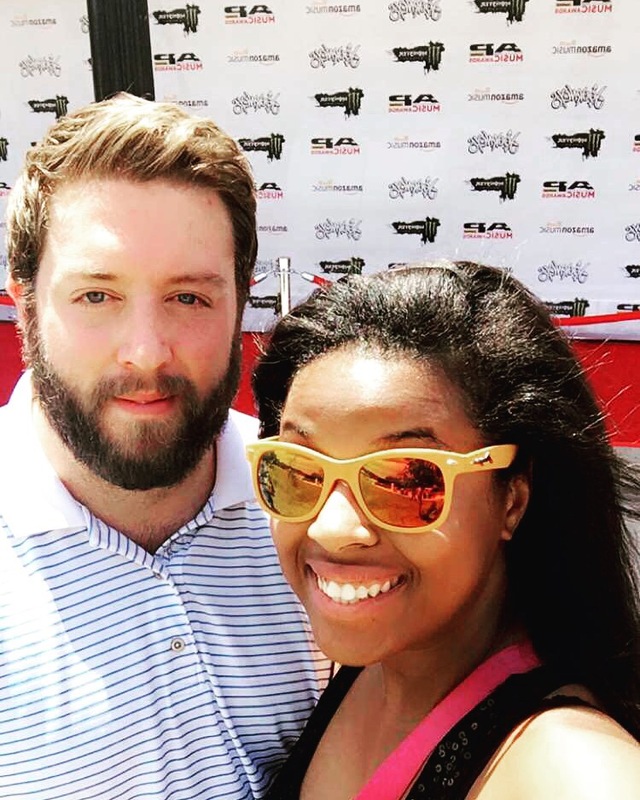 I attended the Alternative Press Music Awards with Brad and we had a blast. This is the second time I’ve attended and Alternative Press never disappoints. The show was filled by performances by some amazing bands including my all time favorite, The Maine! I’ve loved the Maine since I was 16. So, I was so excited when I learned they’d be performing this year. We got to Columbus early so we could be there for the red carpet. 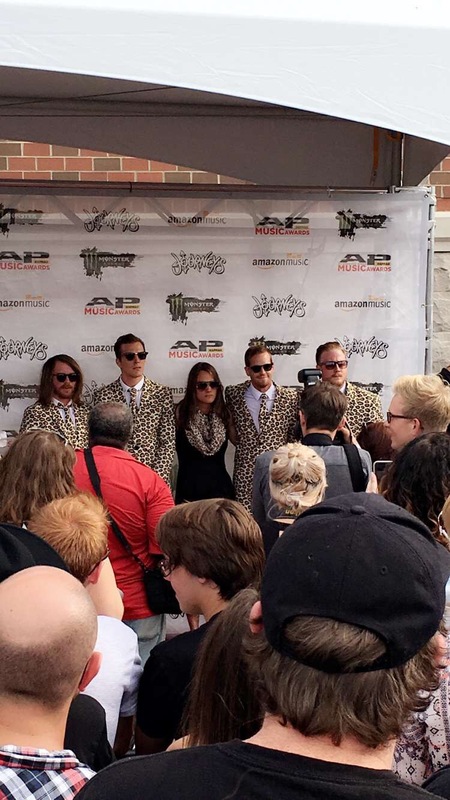 The Maine showed up in leopard print suits! (As if they couldn’t be any more of my favorite band than they already are). The show was full of surprises. Good Charlotte performed, Marilyn Manson received the icon award, Jeffree Star presented an award, and Jack and Alex from All Time Low had a hilarious presidential campaign. It was really a great night filled with music. After the excitement of the awards show, we then went to Warped Tour. I always have an amazing time at Warped. Especially when the Maine will be there! 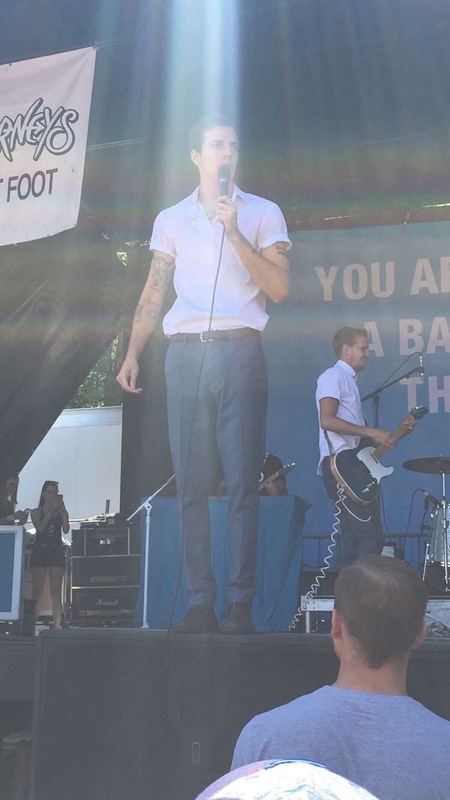 We started the day off early with a performance by the Maine that was incredible. They always play a good mix of old and new music (which is perfect for a super fan like me). I was also excited for the first time Brad got to see them perform. I’ve gotten him into the Maine (since that is a requirement in dating me) and he really likes their music. 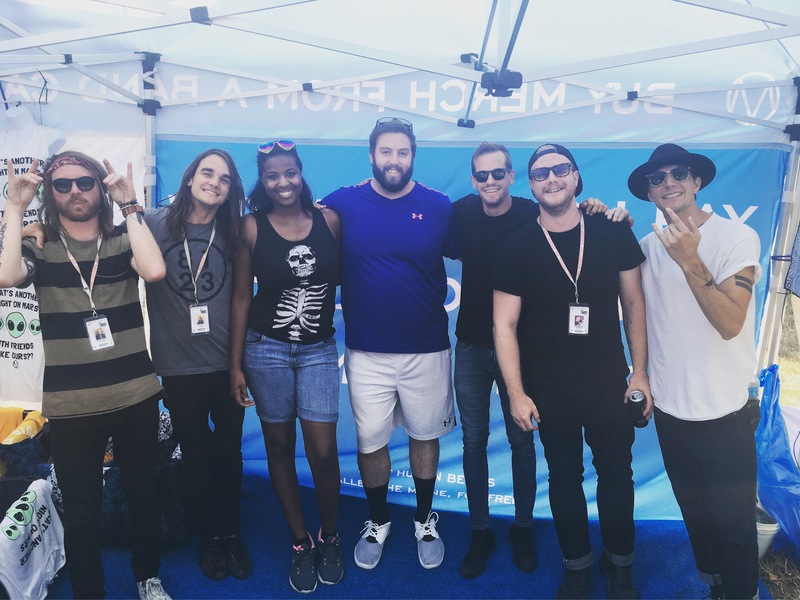 Other than the music, one of the best parts of Warped is getting to meet your favorite bands. I got my first group picture with the Maine! We also came back later and got autographs from some of the members. So, I was pretty much on Cloud 9. One other band that I was excited to see perform for the first time was I See Stars. I’ve enjoyed their music for a long time but never seen them live. I wasn’t expecting how crazy the crowd with moshing, crowdsurfing, and just the overall pushing and jumping. Even the singer crowdsurfed in a giant inflatible! But, it was definitely an exciting experience. Plus, they planned one of my favorite songs! Overall, it was an awesome few days. I had a lot of fun and got to hear some great music!